You’ve got a boring golf cart. You can barely tell it apart from all the other carts rolling through the course. The last time you were at the course, you accidentally climbed into another member’s cart, and it was a serious situation. Ok, that’s a little far-fetched. The reality is that your cart has seen some miles, and now it’s dinged and nicked beyond recognition. The color dull and faded. You didn’t notice until a new member rolled by in a brand new cart and you could see the reflection of your future in the paint job. Then, you know. It’s time to fix this. You think about taking it to a professional, but have you thought about doing it yourself? 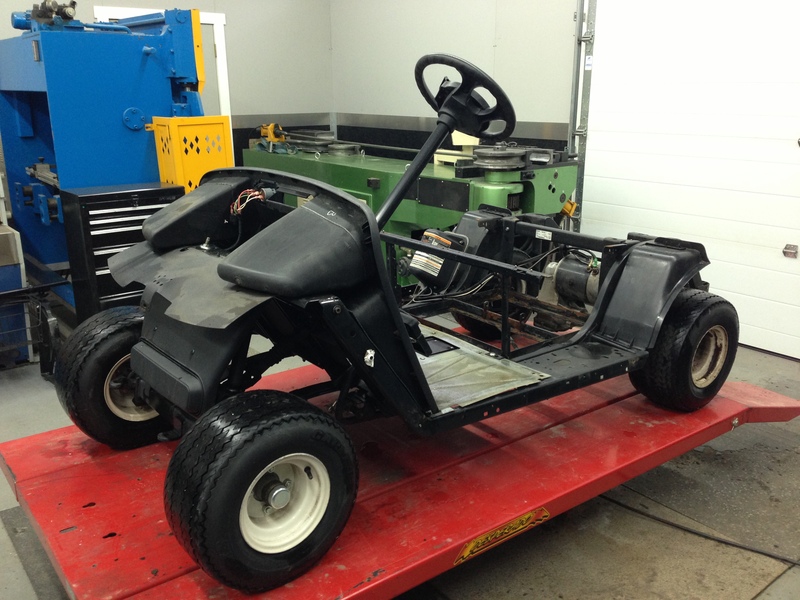 Painting a golf cart isn’t easy, but you don’t have to take it to a professional. 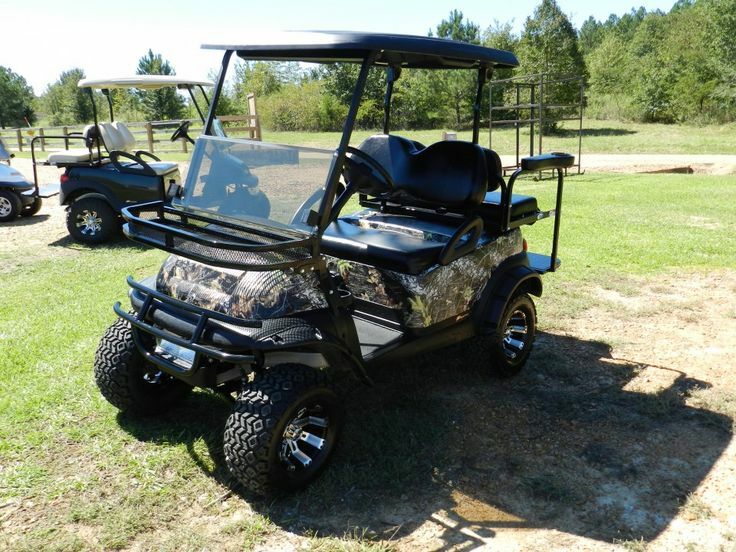 By keeping in mind a few mistakes newbie painters make, you can create a custom paint job that showcases your golf cart beautifully. 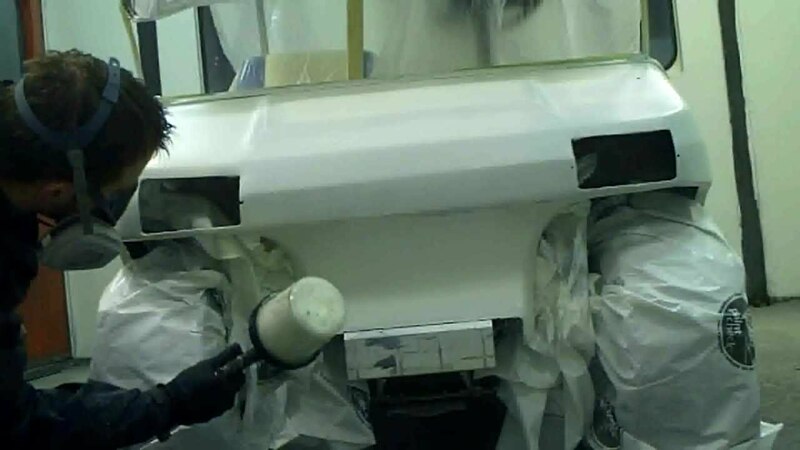 We’ve put together a list of the three most common mistakes newbie painters make and put together a list of custom paint jobs to inspire you once you’re sure how to paint a golf cart. Let’s take a look. You know you need to paint in a well-ventilated area because of the fumes. Your driveway or yard is the perfect place, right? The sun is shining, the breeze is blowing, and everything is perfect. Is that a piece of grass stuck to your brand new paint application? Pollen, maybe? Unidentified outside debris? It takes at least 24 hours for a proper paint application to dry on your golf cart. You don’t want outside debris ruining your paint job. You need to choose a place that’s well ventilated still protected. If you have a garage that you can leave open while painting, that’s perfect. Be sure to lay down drop cloth or cardboard, so you don’t get paint on your floor. 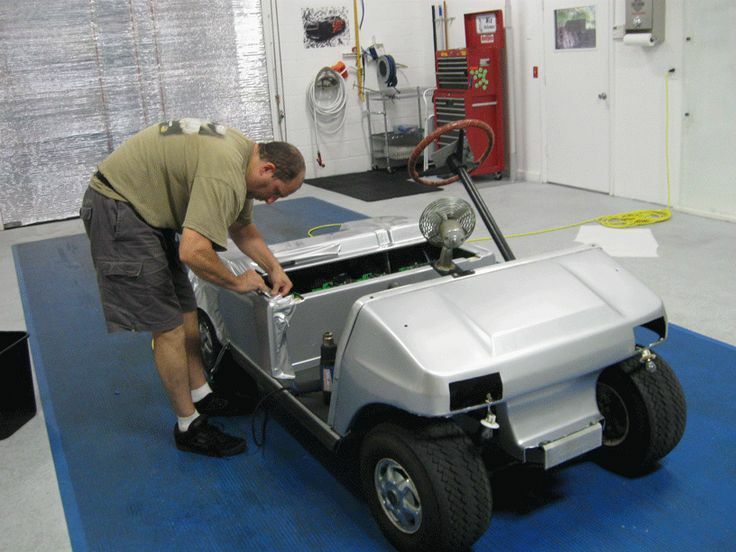 Both plastic and fiberglass golf cart bodies need a lot of prep work if you want your paint job to look professional. Prepping might not be the fun part, but it’s essential. To prep your golf cart correctly there are a few steps. Check out few more bits of advice here. The body of the cart is too smooth for the paint to apply correctly. You have to scuff it up. Use a fine grit sandpaper to sand away the smoothness gently using a circular motion. Sanding provides small groves in the finish that primer and paint can stick to better. Once you’re finished, use a hose off the grit thoroughly. Use masking or painting tape to protect areas that you don’t want to paint. If you have larger areas you don’t plan to paint, you can cover those with plastic bags sealed with the tape. If you’re the kind of person who thinks you’ll be careful enough to skip the tape, think again. Inevitably, you’ll take so long painting that you’ll abandon the project altogether, or somewhere down the line, that paint will drip on a headlight. If that fills you with dread, get your tape in order. Find a paint primer specifically made for plastic surfaces. Cover the surface with even, thin strokes if you’re using a brush, or with even strokes of a spray. Follow the manufacturer’s directions for drying time. If the coat looks too thin, cover it again in the same manner and wait for it to dry. You’ve done all the prep work. You’ve painted your cart, and it looks fantastic. Now, you’re finished and ready to rip that tape off and take your cart on the course. Nope. You took all that time to prepare your cart to paint, but if you don’t seal it, that paint job won’t last. So sad. Choose a sealant that’s compatible with the type of paint you’ve chosen. For example, if you’ve selected an acrylic paint made for plastic, choose a sealant specially formulated to work with acrylic. Once you’ve finished painting, spray at least two coats of sealant on top, making sure to follow the manufacturer’s directions for drying times. Sealant helps the paint retain its original gloss and prevents the colors from fading prematurely. It also helps prevent nicks and scratches. If you skip the clear coat, you’re leaving the paint vulnerable to damage and fading. Once the sealant is dry, you can finally take the tape off and reveal your new cart. You know the pitfalls of painting a golf cart on your own and now comes the fun part: deciding the style. You could go for a classic paint job, but where’s the fun in that. 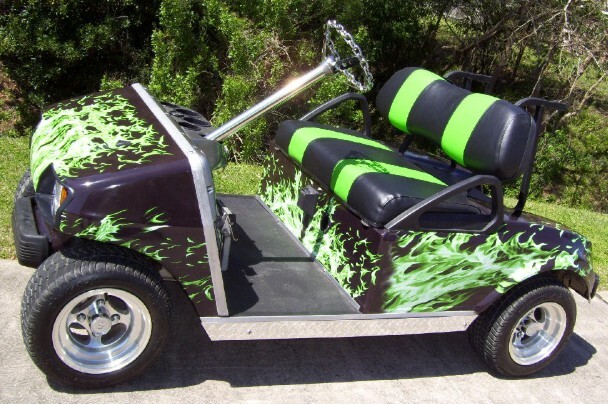 Here are a few golf cart paint ideas for custom painted golf carts to inspire you. If your carts finish is a little worse for wear, you might not be able to bring back that squeaky-clean exterior. One way to get around it is to use a camo pattern. It’ll trick the eye into overlooking the damage to the exterior because of the overlaying color patterns. There are a lot of different types of camo, but we’re going with the classic Army style. Here’s how to camo paint a golf cart. You’ll need four different colors for your camo. There are a few different versions, but we have tan, dark green, dark brown, and black. Once you’ve completed prepping the surface, paint the entire surface in the tan color. The tan is the lightest of the color series and forms the base layer of paint. Take a piece of cardboard and cut out a few different blobby shapes following the pattern found on the Army camo. Use these patterns to define various forms with the other colors. Starting with the next lightest color, hold one of the shapes up to your cart and spray around the edges, moving the stencil around to define the blob. When you’ve painted a few around the surface, begin again with the next color. Finish up with a few of the darkest color and then seal to finish. Here’s a handy video to illustrate the method. If you’re a huge fan of classic cars, you can bring that same design to your golf cart. 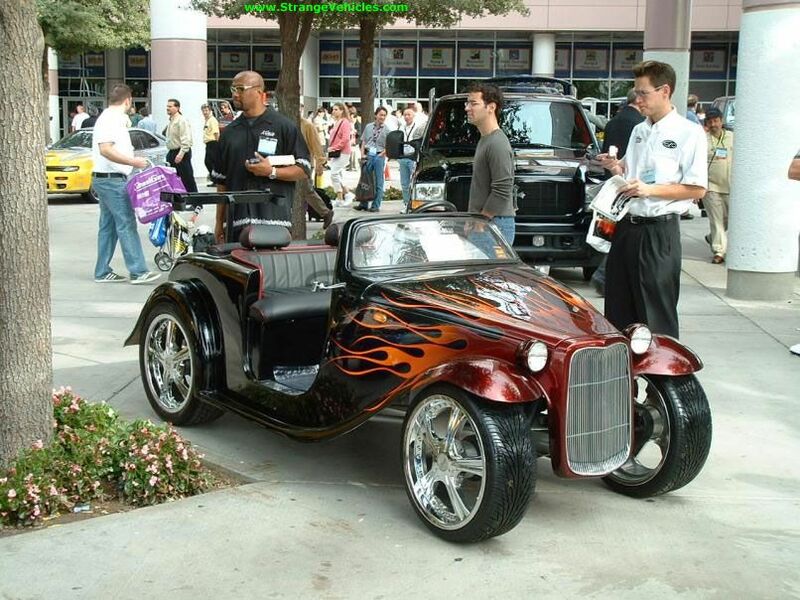 Some of those cars had complicated and intricate designs, but classic hot rod flames are a design you can do yourself. After you’ve prepped the surface, paint the entire cart in a bright primary color like yellow or red. You’re going for a bright color that provides high contrast. Use 3/4 tape to mark out the outline of the flames. In most classic cars, the flame pattern goes from grill to windshield. Here’s a video to illustrate. Use other high contrast colors to paint and outline the flames. If you chose yellow as your base color, you might have orange, red, and black for your flames. You may not have an airbrush tool, but here’s the basic idea. Minimal racing stripes are a simple way to class up your golf cart without trying something complicated. This two-tone look is simple, requiring only proper taping. Choose your colors for maximum contrast. We suggest yellow and black, or black and silver. Here’s what to do. After prepping the surface, paint it with your entire surface color. Mark your stripes using the tape. In traditional racing stripes, there are two bold strips down the hood with thin lines just to the outside. Use your contrast color to paint the stripes. Wait until it’s appropriately dry to peel the tape and seal the paint job. Here’s a classic racing stripe tutorial. Painting a golf cart isn’t like slapping paint on your wall. The plastic pieces require an even hand, the right kind of paint, and a clear purpose. Even if you decide to repaint your golf cart in classic colors, following our advice will help you get the best result. The best thing you can do is plan your approach from start to finish. Taking the time to draw out your design could be the difference between an ok job and a great job. Don’t make the mistakes some newbies make trying to custom paint their carts and you’ll be showing off on the course in no time. 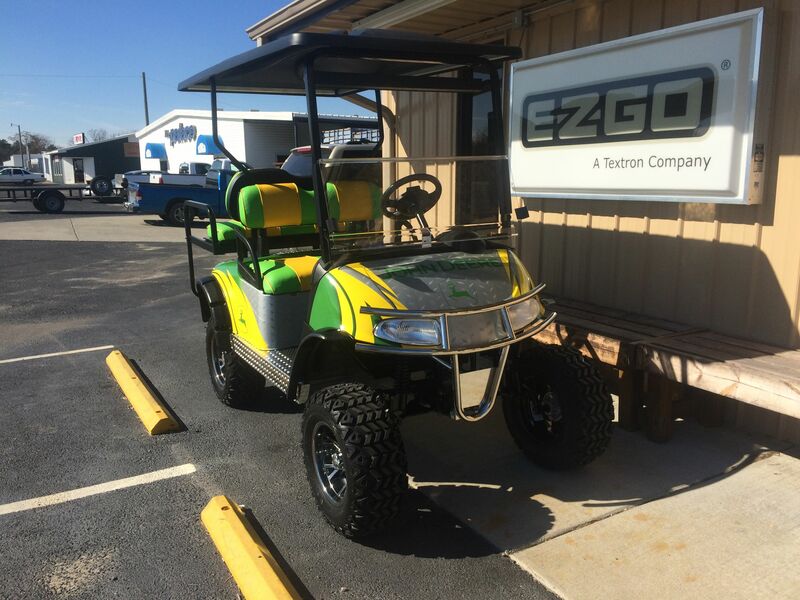 If you decide to custom paint your golf cart, be sure to drop a photo in the comments below; we’d love to see what you’ve done.